Our Story - ABI Document Support Services, Inc. - ABI Document Support Services, Inc.
ABI Document Support Services began in 1981 with the organization’s founder, Alice Benge, California’s first licensed female private investigator. Alice needed to obtain medical records to settle her cases and opened ABI Document Support Services to help others fulfill this requirement as well. More than three decades later, the business is run by David Benge, President, and son of Alice Benge. David has dedicated his career to the business of record retrieval. His unmatched knowledge and passion is contagious, and his competitive drive has led ABI to achieve what many record retrieval businesses just simply have not accomplished. ABI operates on a national scale and has attained a 98% client retention rate. 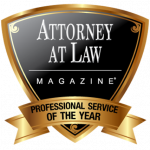 ABI won the 2016 Professional Service of the Year award from Attorney at Law Magazine.